Have you ever wondered how stars work? Or wanted to see some of the smallest objects in the universe? Do you want to look at the sun (with the approval of a scientist)? Or learn about the hunt for dark matter? 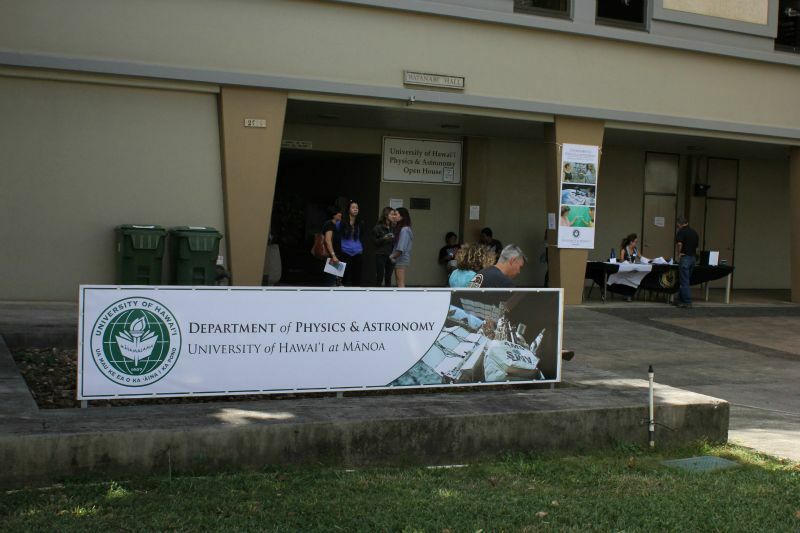 Come join the UH Manoa Department of Physics and Astronomy for a day of science-filled fun! 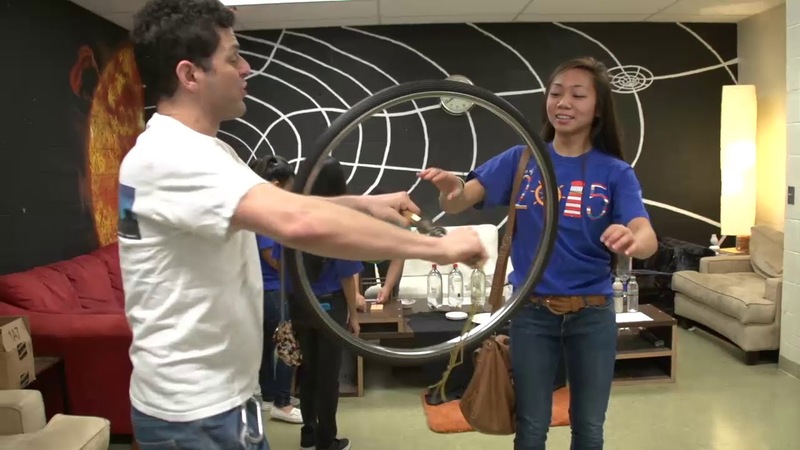 The Department of Physics and Astronomy is hosting an open house for visitors of all ages. Activities will include lectures, hands-on activities, demonstrations, and laboratory tours. It’s been about sixty years since the first experimental observation of neutrinos. We will discuss the main features of these elusive particles, and how to detect them. Ever wonder how we know what the stars are made of when we can’t collect a sample? Or how the Curiosity rover searches for evidence of liquid water on Mars? Then come learn how atoms use light to introduce themselves to us!! Have you been curious or puzzled about something in physics and astronomy? Drop by the AMA table to chat with Professor Tata. Dark matter is one of the biggest mysteries in physics today. We know it exists, but what is it? How can we learn more, detect it, study it? Demonstration of the NeutronTimeCube, new fast-timing segmented neutron camera. What is the difference between matter and anti-matter? What happens when they come together? How could the early universe (with equal amounts of matter and anti-matter) evolve to its current matter dominated state? This is a fundamental mystery of particle physics and cosmology. The Mark III free-electron laser (FEL) as it was originally commission at Stanford in 1984! This FEL is used for UH Manoa research into remote sensing and advanced FEL concepts. A virtual reality (VR) demonstration using the Oculus RIFT headset. Belle II is a particle physics detector located in Tsukuba, Japan. Electron-positron collisions are viewed inside the Belle II detector. The tracks and energy depositions as particles move, shower, and interact can be viewed in VR. This demo was developed at Virginia Tech and has been shown at events around the world. What do spinning ice skaters to make themselves speed up? How does a ping pong ball stay trapped in a stream of air? See the Phantom Pig! Experience tabletop demos of mechanics, fluids and electromagnetism – brought to you by the Society of Physics Students! Come look at the surface of the sun with a filtered telescope!! Feel free to get a picture with your phone and ask a physicist about the inner workings of our nearest star!